OneFest and Frank Turner unveil Lost Evenings, a 4-day festival with events running throughout the day and evening celebrating live music and providing an opportunity for the next generation of music performers and industry professionals to get involved. 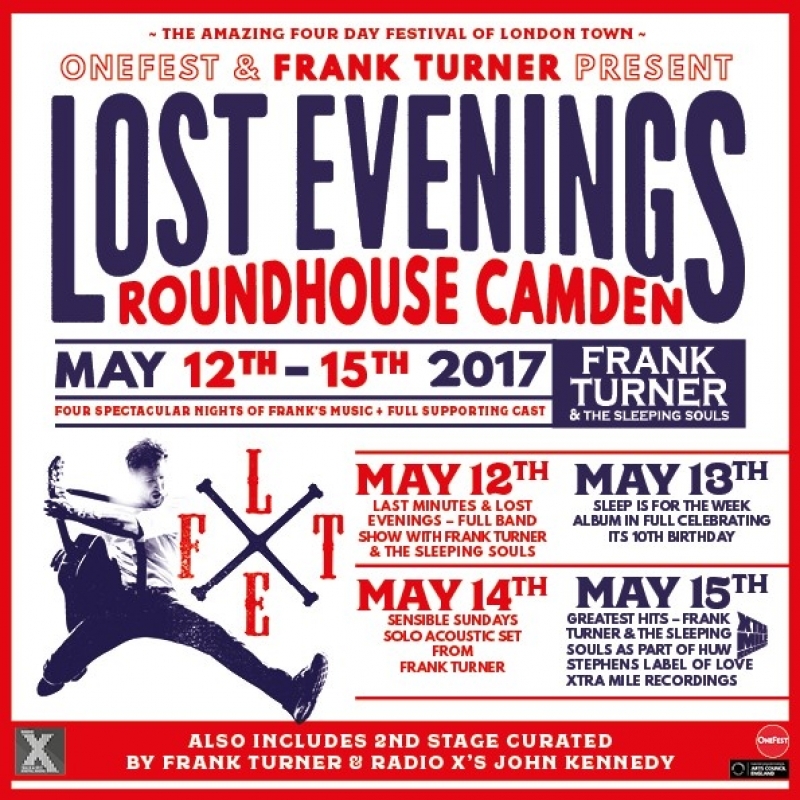 Lost Evenings will also see Frank Turner curate and headline four consecutive one off concerts. Friday 12 May: Frank Turner & The Sleeping Souls will perform a crowd pleasing Greatest Hits set entitled Last Minutes and Lost Evenings. Saturday 13 May: Frank will perform his debut album Sleep Is For The Week in full, as it celebrates its 10th anniversary. Sunday 14 May: Frank will resurrect Nambucca’s infamous former club night Sensible Sundays where he will top an acoustic bill of special guests, soon to be announced. 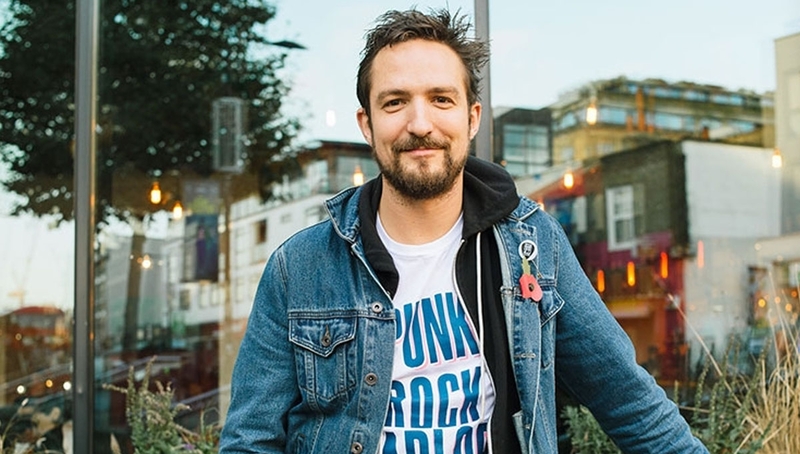 Monday 15 May: Frank Turner & The Sleeping Souls will unite with Huw Stephens and his Label of Love night featuring Xtra Mile Recordings to perform the second Greatest Hits set of the series. In addition to the evening performances, OneFest will run a selection of panels and workshops during the day, offering inspiration, insight and advice to young individuals both operating in and trying to break in to the music industry. The full programme of events will be supported by official partner Radio X who will host an additional stage featuring up and coming talent selected by esteemed presenter and indie champion John Kennedy. The OneFest element to the event will be part-produced by a cohort of six young adults aged 18-25 who are currently undergoing professional development programmes within the music industry, designed and run by The Hub. These programmes will support them in fulfilling roles across the event in panel and additional stage programming, artist liaison, digital marketing and business affairs. A full line up and programme of events, including panels and workshops will be announced in early 2017. A limited number of season passes are available for all 4 nights of the festival priced at £99* (+ fees). *Please note, the season pass is for 1 person and is non-transferable. The booker will have to be present to collect each night’s ticket at the Box Office on the day.